Do you have a book video trailer? Friend us on YouTube. Then send us a quick note and let us know what genre your book video trailer. We will get that added so readers can see it. 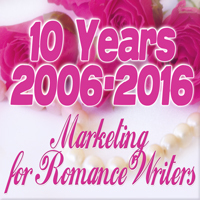 Sign up for our Coffee Time Romance – Author Services Sale Notifier & Promotional Opportunities Alerts eMail list to receive information about Author Services going on sale and promotional Opportunities that we have going on to help you promote your books. Do you have a Steampunk book? We have a Steampunk area. We have an active community and a fun place to get all of the news, find out about new (and old) books, and a great blog! Want to schedule a day on our blog? Or an event? Looking for blogs for your blog tour? New to blogs but would still like to have an event? We can help! Show it off Saturday – (Facebook Event) – We have something fun for you! Saturdays, we will be hosting 2-3 authors per day on our Facebook page. You provide the information, we do all of the work! This is fun way to get your book and author news out to readers. Set up your date here! Interested in scheduling an interview with one of our wonderful interviewers? Contact our Interview Coordinator, to set a date! We have a place to list your author name and your web site. If you will send us your full author name and the URL address for your web site, we will add that to the listing. We also have reviewers who can review your books and we post them on the site upon completion. The guide lines and submission information is listed here and you can contact our Review Coordinator with any questions. We have more services listed here. And some other contact information is listed here. If you need anything else or have questions, please do not hesitate to contact us. Other Nifty Things to help out..